SAN FRANCISCO — A federal appeals court in San Francisco on Friday upheld former Giants slugger Barry Bond’s obstruction of justice conviction stemming from his 2003 testimony to a grand jury investigating performance enhancing drug use among elite athletes. 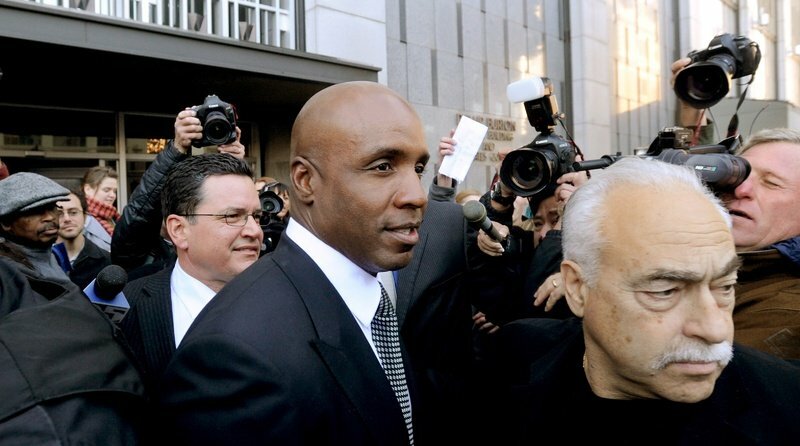 A federal jury in April 2011 found baseball’s all-time home runs leader guilty of obstruction as a result of that response. That particular exchange wasn’t included in the indictment originally released in November 2007. During oral arguments before the appeals court, Bonds’ attorney argued that that omission was a “dagger in the heart” of Bonds’ conviction. The attorney, Dennis Riordan, also said that Bonds ultimately answered the question when it was put to him again and he denied receiving any substance to inject. Bonds is now facing 30-days’ home confinement as well as two years of probation, 250 hours of community service and a $4,000 fine. Riordan couldn’t immediately be reached for comment early Friday on the court decision.